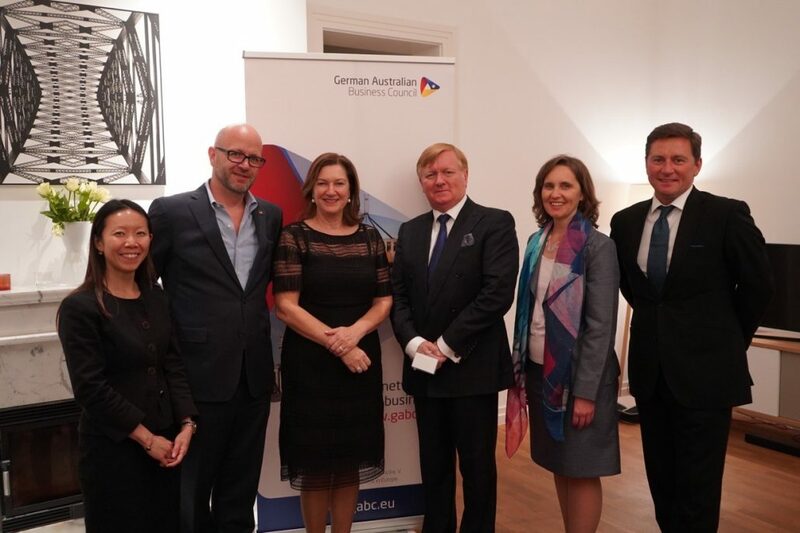 Members and friends of the German Australian Business Council were warmly welcomed by the German Australian Business Council’s Co-Patron, Richard Leather, Consul-General Frankfurt and Senior Trade and Investment Commissioner for Western Europe, at his residence for our Spring Reception on 16 May 2018. We also had the privilege to hear from Ms Lyn Lewis-Smith, CEO, Business Events Sydney about the power of conferences and how business events are setting agendas, shaping best practice and creating change. In particular, she spoke of her recent experience as Co-Chair of the Host Steering Committee for the Global Summit of Women Sydney 2018. This summit was the largest ever held with over 1200 delegates from 60 countries coming together to share effective strategies and practical working solutions by and for women in all three sectors of society – government, business and civil – to improve women’s economic status globally. There was a strong German delegation at the Summit led by Ursula Schwarzenbart, Daimler’s Head of Global Diversity Management. The next Global Summit of Women will be in Basel, Switzerland in 2019. 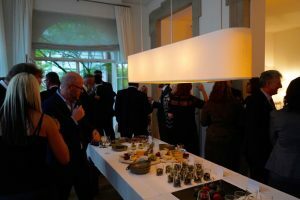 We were delighted to see a number of new faces at the reception and new connections being made over canapes and drinks.